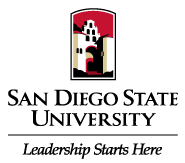 The School of Public Affairs at SDSU is a broad-reaching, multi-disciplinary academic unit offering five undergraduate and graduate degree programs in public administration, criminal justice and criminology, and city planning. Our student body and faculty embody diverse interests and backgrounds, but are bonded by concerns for achieving equitable and ethical social, institutional and built environments. Preparing public service leaders to serve communities in a global context. To provide undergraduate and graduate students with a generalist knowledge of public and non-profit organizations; and to equip them with the skills and techniques necessary for effective and ethical leadership roles in a variety of political and social environments. Become the leading institution of higher education for the public sector in the Southern California region; successfully train public service professionals to manage and implement public policy, and to develop a critical awareness of the local, border and global dynamics that impact our urban environments. We believe that the future of public affairs in a changing economic climate is to build on public-private partnerships and to develop innovative and creative solutions to the challenges of 21st century urban living.